SO… I realize I’ve been on a major sugar kick recently. 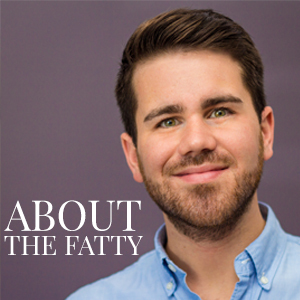 I’ve had a few people ask me…”Do you post regular food on your blog, too?”. I’ll do my best to ignore that fact that sugar and butter are as naturally enjoyable as can be, and give it a go. You can cook healthy food and it taste juuuust great, after all. With farmer’s market season in full-swing here in Nashville, I found myself [yet again] with a ridiculous amount of zucchini. This recipe isn’t anything mind-boggling, but is certainly simple and delicious. 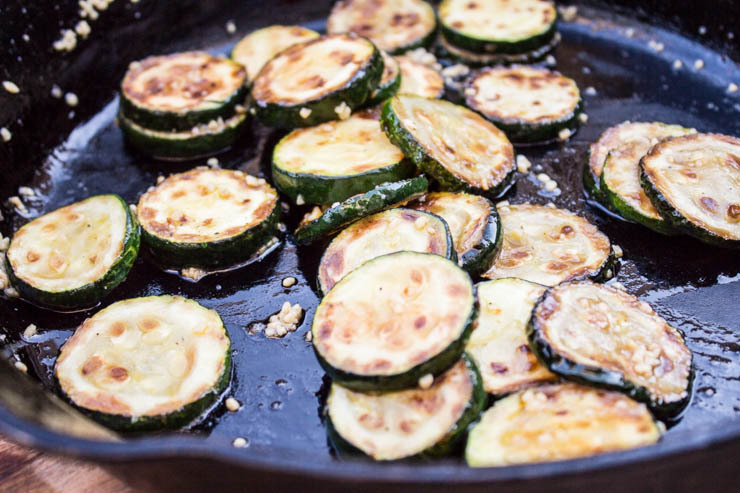 Garlic sautéed skillet zucchini is great choice when you have to rush and need a good side dish for dinner. I’ve seen some people saying how delicious their zucchini is going to be because it is soooo enormous in their garden. I learned this same lesson the hard way. Huge, impressive zucchini is hardly impressive to eat. It ends up having a bazillion seeds and gets… ehh. Just not great. Go for the smaller ones that will have fewer seeds and will be packed full of flavor. Medium-Medium/High heat is a zucchini’s friend. Once you get these over heat on a skillet, they will caramelize and leave a textured, sweet exterior without giving a squishy blob that everyone hates. Cast iron, when properly seasoned, is completely non-stick. If it sticks in your skillet, you haven’t seasoned it properly. Indestructible! You can drop cast iron off of a bridge, into the water, retrieve it at the end of the river and simply wipe it off and have a perfectly cooked dinner. Not that that has ever happened to me….. Moving on. Feelin’ hot, hot, hot! — These things will tolerate any heat you throw at it. You wouldn’t dare put that stainless pan at 500 F! Easier cleanup. — You never was a skillet with soap. Just wipe it out and let it cool. Yes. It’s clean. Remember how how it is getting? My kitchen is stocked to the ceiling with Lodge skillets. I can’t recommend them enough. They are very reasonably priced (seriously… $11), made just down the road here in Tennessee. Their coated enamel cookware is also amazing. I have a couple dutch oven pots that I use almost daily. This is not an advertisement or sponsored post. I included this brand information because I truly utilize and enjoy these products. If you are looking for a simple, delicious side. This is it. You could even throw them in some foil and cook them on the grill with your burgers and grilled herb butter corn. Perfect summer meal! 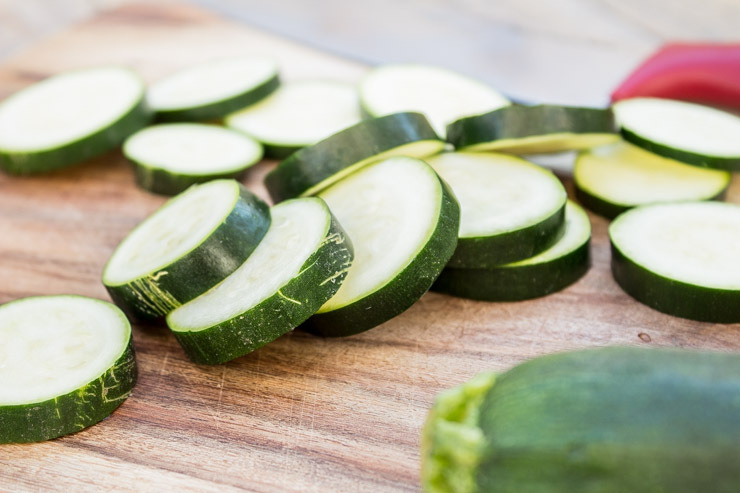 Slice zucchini evenly, about ¼ inch. Sprinkle with salt. When skillet is hot, add oil and butter to combine. Add zucchini in single layer. Cook until golden. Flip and repeat. Season with remaining seasonings when both sides have light caramelization. Hi,I log on to your blogs named “Twitter” on a regular basis.Your humoristic style is awesome, keep up the good work! And you can look our website about اغاني 2017. I’m such a zucchini junkie! I’ll also take any excuse to get out my Lodge! 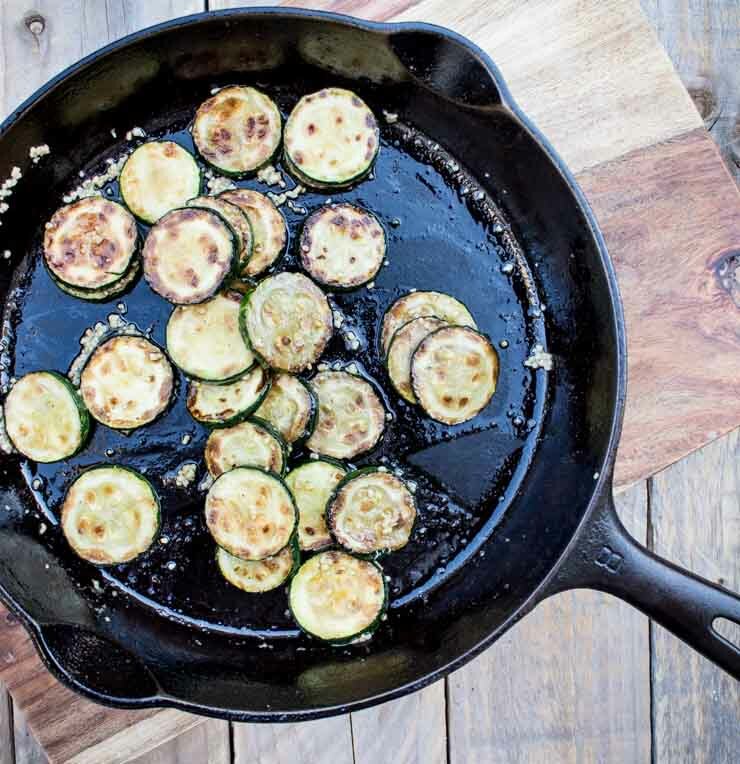 I love zucchini and I’ve sautéed it before with only Parmesan cheese. I love your addition of garlic and Italian seasoning. I’m definitely trying this next time I make it. Hope you like it! I mean… You can’t go wrong with garlic. love this! I have 2 zucchini plants growing and they’re starting to burst with zucchinis. I really want to try this recipe! I’m not sure it is even difficult enough to call a recipe… Hah! I wish I had grown zucchini this year. First year I have grown anything other than herbs, so I stuck to tomatoes and peppers. I’ll tackle zucchini next year! Awesome. I could literally eat these every day of the week. I really could (read: do) too! Great way to whip up a side for dinner after a day at work (or… baseball?!) when you don’t feel like doing anyyyyything. Cast iron is after my heart here. I have 9 hanging around an island counter. I use cast iron every day, several times a day, and I would give up my Vitamix before I would give up my cast iron. 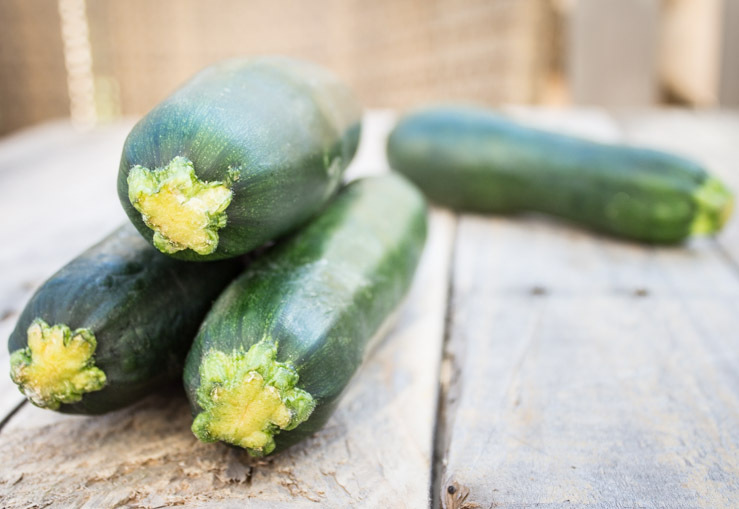 Now for zucchini…perfectly on time!